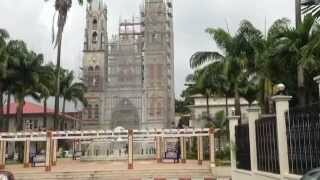 N 3° 45' 0" and E 8° 46' 59"
Malabo in Bioko Norte Province with it's 155,963 habitants is a city located in Equatorial Guinea. It's the capital of this country. Current time in Malabo is now 08:29 PM (Monday). The local timezone is named Africa / Malabo with an UTC offset of one hour. We know of 8 airports closer to Malabo. The closest airport in Equatorial Guinea is Malabo Airport in a distance of 5 mi (or 8 km), West. Besides the airports, there are other travel options available (check left side). Since you are here already, you might want to pay a visit to some of the following locations: Luba, Buea, Douala, Enwang and Eyofin. To further explore this place, just scroll down and browse the available info. Let's start with some photos from the area. View from Malabo City...Una mirada de la Ciudad de Malabo. 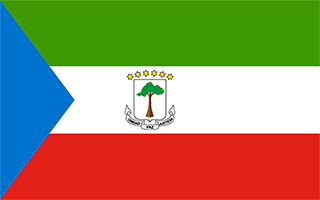 Equatorial Guinea. 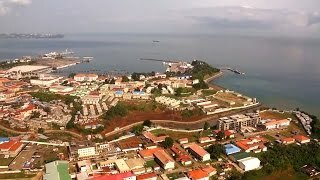 Malabo and Bata / Крупные города Экваториальной Гвинеи. Малабо и Бата. 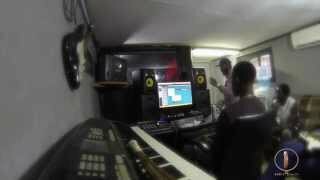 Grabando la nueva canción de Mr Broge ft Mc Ghost en La Casa Records en Malabo. 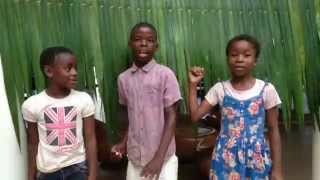 "Girls From Malabo"
Malabo beach its not really in Malabo but its close its in Africa equatorial guinea beautiful country awesome ppl cant wait to go back. Malabo is the capital of Equatorial Guinea, located on the northern coast of Bioko Island on the rim of a sunken volcano. With a population of 155,963 (2005) it is also the second largest city in the country, after Bata in Río Muni on the African mainland. Oyala is a planned city currently under construction, designed to replace Malabo as the capital. Located at 3.75, 8.78333 (Lat. / Lng. ), about 0 miles away. Bioko Norte Province is the most populated province of Equatorial Guinea. Its capital is Malabo. It occupies the northern part of the island of Bioko, the remainder of which comprises Bioko Sur Province. The uninhabited island of Islote Horacio is located off the northeast coast. It contains a lighthouse. Located at 3.75917, 8.90833 (Lat. / Lng. ), about 9 miles away. 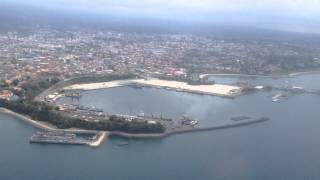 Malabo Airport or Saint Isabel Airport is an airport located at Punta Europa, Bioko Island, Equatorial Guinea. 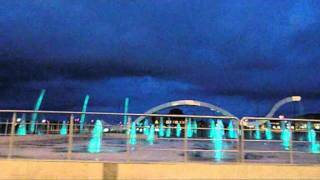 The airport is named after the capital, Malabo, approximately 9 kilometres to the east. Until the discovery of oil within the borders of Equatorial Guinea during the mid-1990s, the airport was a tin-roofed shack that only serviced one international flight, the government was the main user of the airport. Located at 3.755, 8.70861 (Lat. / Lng. ), about 5 miles away. Estadio Internacional is a multi-purpose stadium in Malabo, Equatorial Guinea. It is currently used mostly for football matches. The stadium holds 6,000. Located at 3.74968, 8.7809 (Lat. / Lng. ), about 0 miles away. Black Beach, located on the island of Bioko, in the capital city of Malabo in Equatorial Guinea, is of one of Africa's most notorious prisons. Located at 3.757, 8.789 (Lat. / Lng. ), about 1 miles away. Nuevo Estadio de Malabo is a multi-purpose stadium in Malabo, Equatorial Guinea. It is currently used mostly for football matches. The stadium holds 15,250 and opened in 2007. It is currently the home ground of the Equatorial Guinea national football team. One of the host stadiums for the 2012 Africa Cup of Nations, it hosted the final of the Women's African Nations Football cup in 2008. Located at 3.725, 8.76917 (Lat. / Lng. ), about 2 miles away. The National University of Equatorial Guinea (Universidad Nacional de Guinea Ecuatorial in Spanish), also known as UNGE, is the main university in Equatorial Guinea. It was founded in 1995. 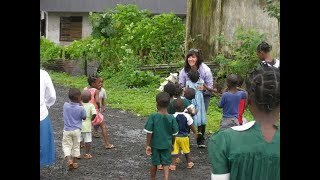 The main campus is located in Malabo. The school of Medicine is located in Bata. The current Dean is Federico Edjo Ovono. Located at 3.7468, 8.7752 (Lat. / Lng. ), about 1 miles away. 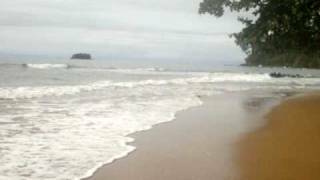 Baney is a town in Equatorial Guinea. 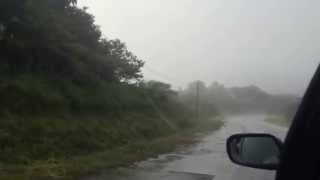 It is located in Bioko Norte Province and has a (2005 est. ) population of 2365. Located at 3.7, 8.91667 (Lat. / Lng. ), about 10 miles away. Located at 3.71917, 8.85306 (Lat. / Lng. ), about 5 miles away. These are some bigger and more relevant cities in the wider vivinity of Malabo. These are the most popular locations in Equatorial Guinea on Tripmondo.